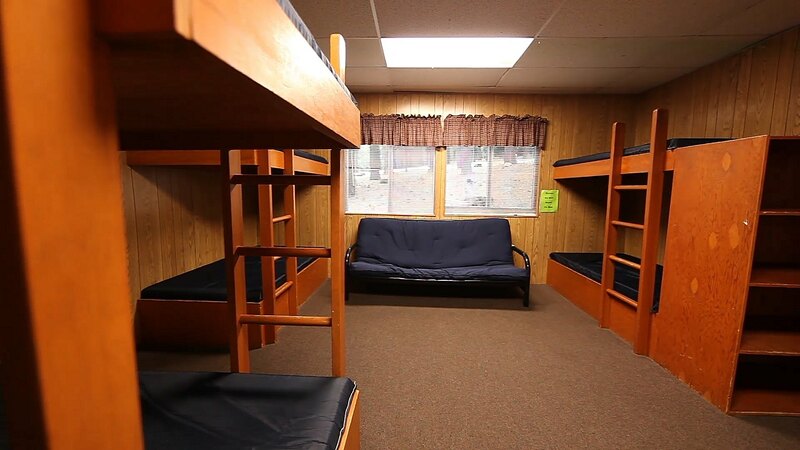 The camp grounds houses an impressive array of facilities, including lodging, dining areas, meeting areas, a gym, and a host of recreation sites. 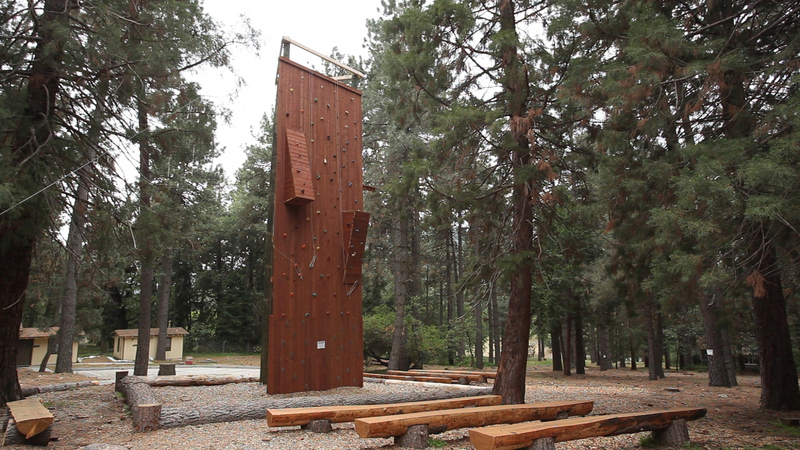 The lower campground uses a variety of buildings for accommodation. 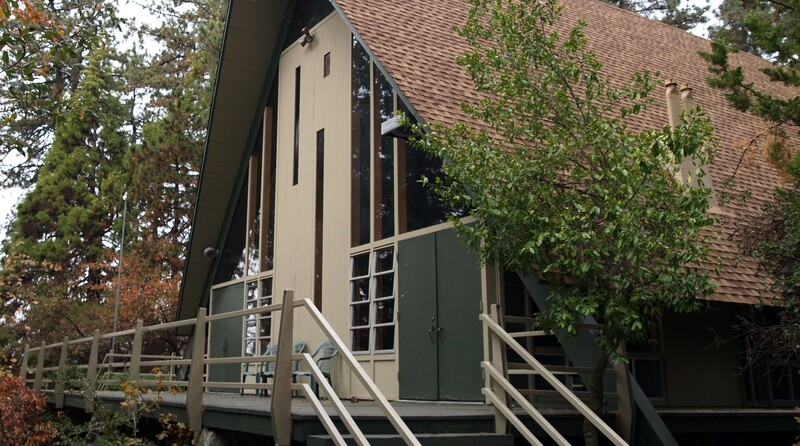 These facilities are divided into 5 groups: the Cedar Lodge, the Pine cabins, the cottages, the Oak Lodges, and the manufactured houses. 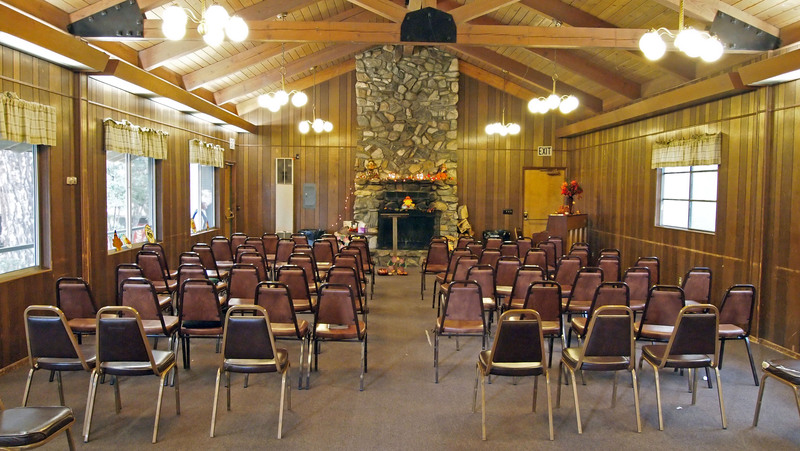 The property has seven buildings that can be used for meetings and can accommodate gatherings ranging in size from 20 to 260 people. 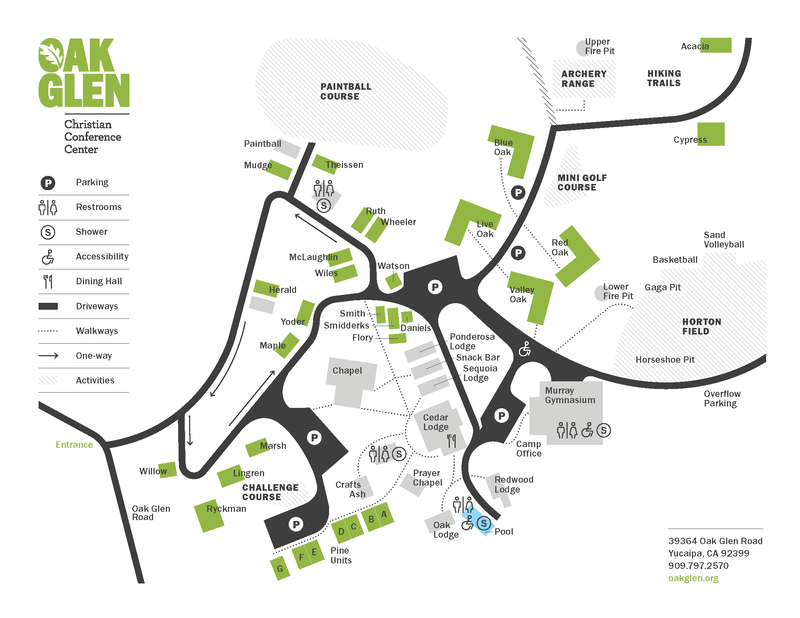 Five buildings are available for smaller groups, including Ash/Craft, a Prayer Chapel, the Oak Lodge, and the Ponderosa and Sequoia Lodges. 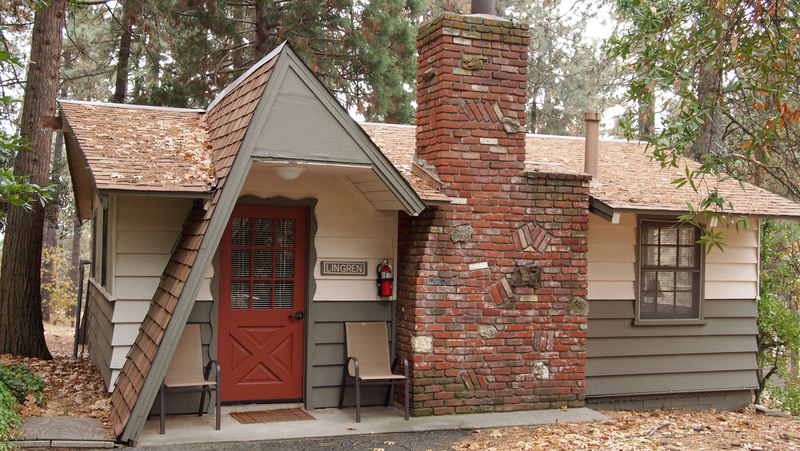 The Redwood Lodge can seat 100 people around its stone fireplace. The main chapel is located in the center of the camp and is the largest meeting area. 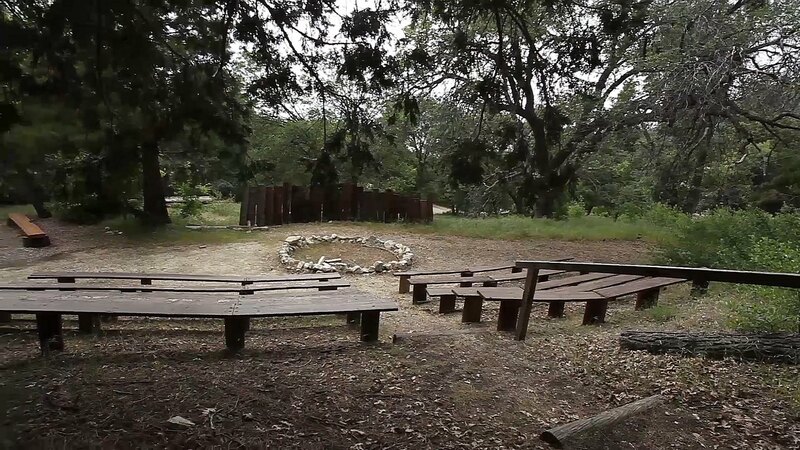 It is available for conferences and retreats and can seat 260 people. 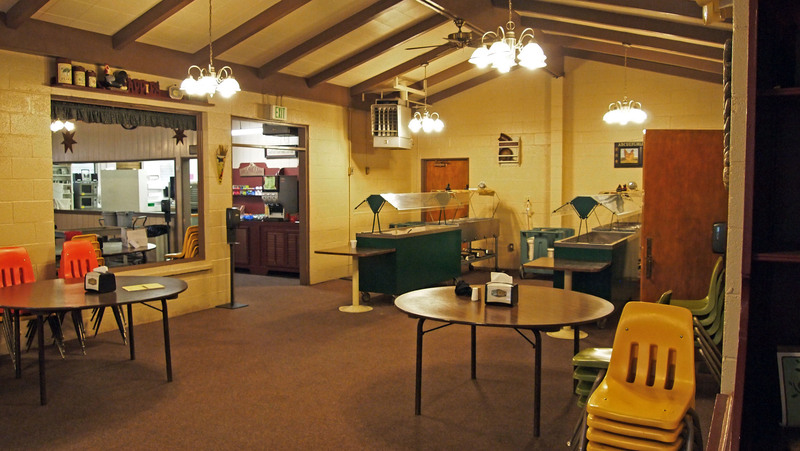 Due to the many options for meeting rooms at Oak Glen, it is possible for several groups to use the camp at the same time. The kitchen and dining room have been expanded over the years and can now serve and seat 330 people at one time, or 500 in shifts. 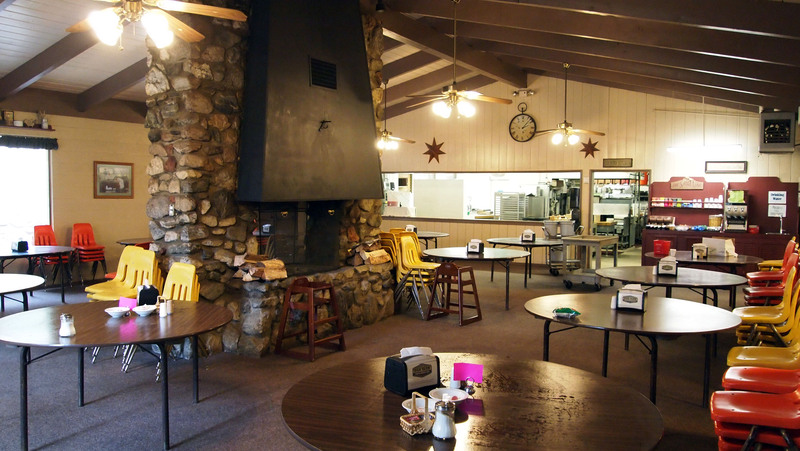 Oak Glen has a reputation for providing quality, tasty food, including a roast beef dinner on Saturday evenings. The original dining room is heated in the winter months by a stone fireplace. 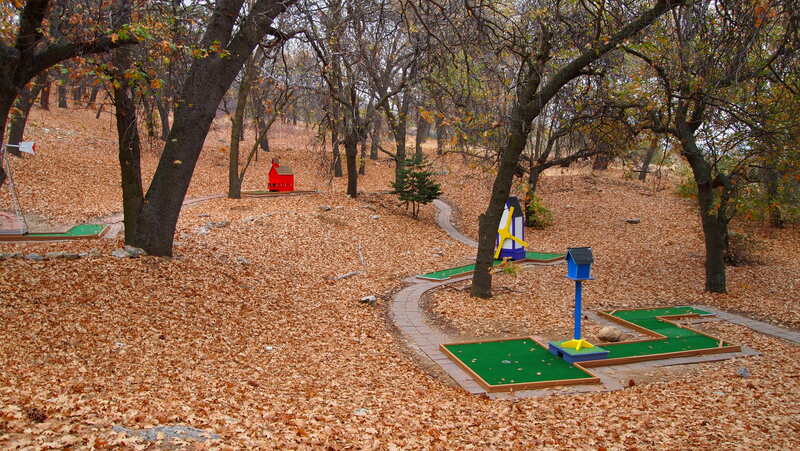 Oak Glen provides many options for activities. 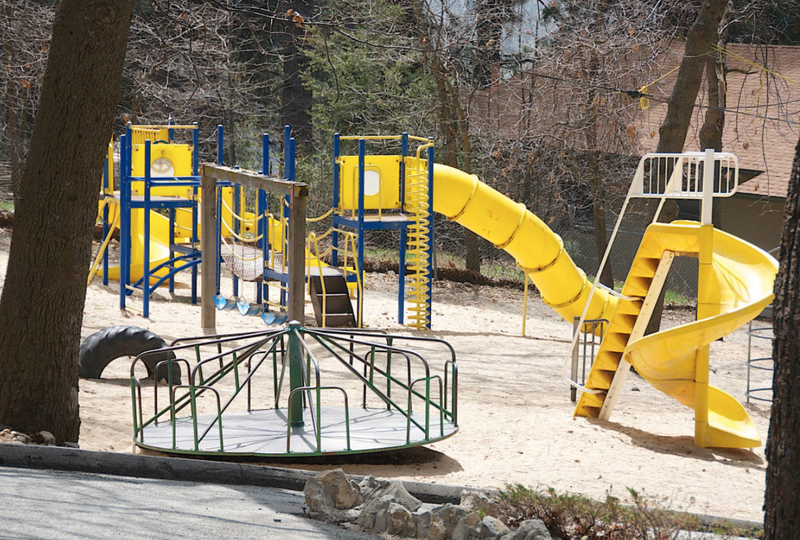 These include: paintball, miniature golf, a swimming pool, a playground for smaller children, hiking, a climbing wall, two fire circles for bonfires, horseshoes, volleyball (outdoor and indoor), basketball, and much much more! The Murray Pavilion (a full-court gymnasium) is used primarily for recreation, although it may also be used as an auditorium as needed. 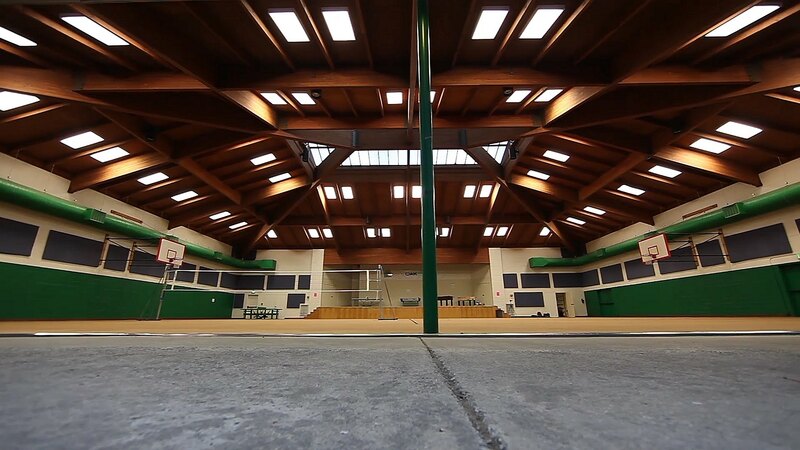 The Pavilion has volleyball courts, a full length basketball court, ping-pong tables, air hockey, and a foosball table. Our intention is to modify the facility to accommodate gatherings of approximately 550 people. 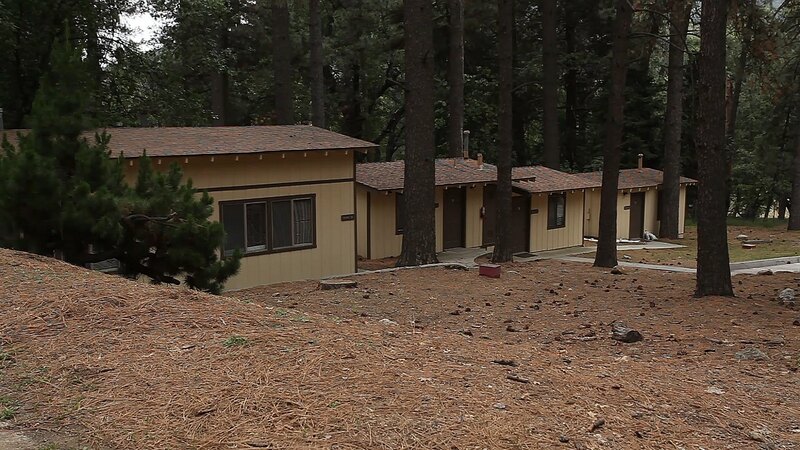 The upper campground currently has 7 houses, which could be used for small groups, districts, churches and Full-Time Training teams for weekend blending and retreats. There is the potential to develop the upper campground to be similar to Engedi, which would be used exclusively by the local churches.